There are miracles for which I’ve prayed on behalf of leprosy patients over the years that I have not yet witnessed: the restoration of an amputated limb or missing digits of a “clawed” hand, or the regrowth of healthy flesh that has been devoured. But this does not mean God has not been moving mightily in the lives of the beloved families we have come to know so well over the past seven years. As our personal relationships have become more trusting and intimate, I’ve been blessed to be invited into very personal details of their lives—prayers for fertility for barren wombs (the Lord has answered with two births this past year), education for children, jobs for the destitute. Most importantly, however, the miraculous rebirth of souls of family members formerly walking in darkness. It all began when I met Prasanna in 2012, during my first visit to Hyderabad, India. A wound care nurse who cared for her own leprous parents until their deaths years before, she went on to care for other victims who needed her tender—and rare—compassion and skill. Heaven’s Family’s Leprosy Ministry partnered with her, helping to open and maintain a clinic right inside Moula Ali leprosy colony. Prasanna’s daughter, Sarah, followed in her mother’s footsteps of faith and nursing, and the two of them began making rounds that have come to include about twenty colonies. They ventured 1,000 miles every month by foot, bus, hitch-hiking in the back of trucks, and on crowded trains (that is, until the Leprosy Ministry purchased a modest vehicle for them, thanks to a generous supporter). This dedicated duo has often ministered to impoverished patients with no access to medical services, and their work has become widely recognized—and often requested—by other organizations. 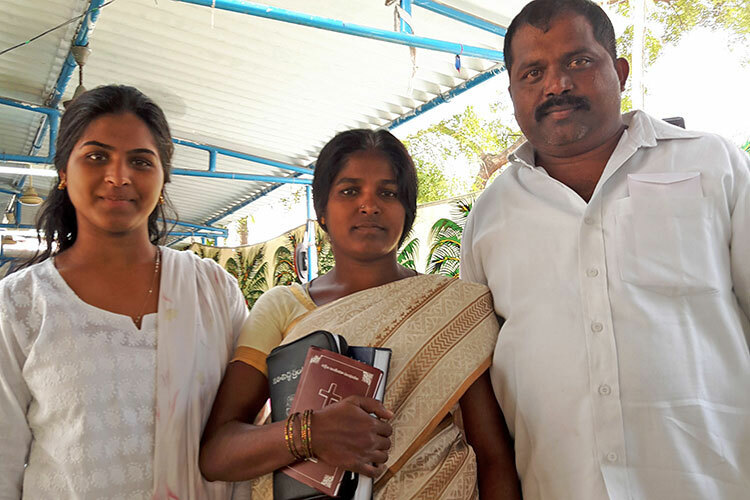 As I’ve gotten to know Prasanna’s family better, including her brother Prabhu, his wife Satya, and their daughters—Kalyani and Kittu, they too became part of the extended family team that reaches out to help leprosy patients—but only Satya walked with Christ. Prasanna shared with me years ago how heavy her heart was for their lamentable spiritual condition. Prabhu’s fierce Hindu beliefs had gained him the reputation of “Christian hater,” and even Satya, who had been raised in a strong Christian family, had to reluctantly yield to his tyrannical ways, even submitting to a Hindu wedding ceremony as a young woman. I shared my friend’s burden and continued to pray for Prabhu and the others, even as I enjoyed getting to know, love and partner with this amazing family as we served colony patients. After witnessing the life-altering, healing power of God in her father’s life, Prabhu’s daughter, Kittu, also surrendered her heart to Christ! And we’re praying that, by God’s amazing grace, the last Hindu holdouts in the family, Kittu’s older sister Kalyani and her husband, won’t be far behind. These incredible events culminated in the glorious baptism of Prabhu and Kittu on Easter morning of this year! As I ponder the unexpected miracle in the life of Prabhu, I’m reminded of how our relationship with God so often begins with our relationships with others, and how the Lord is using my relationship with Prasanna and her family. 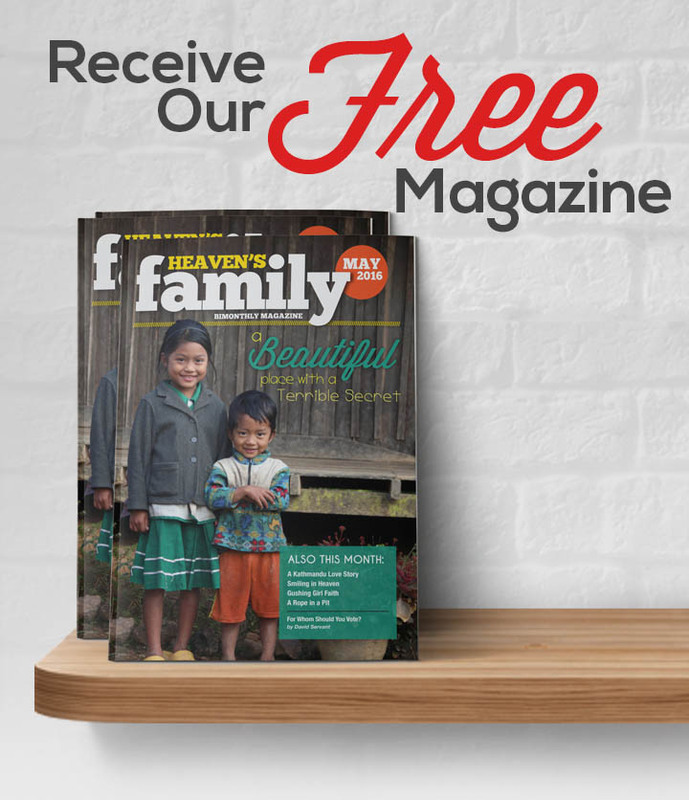 I have no doubt that Prabhu and Kittu were influenced over the years as they witnessed the love of God poured out for the “least of these” via Prasanna, Sarah, myself, and those who have committed their hearts and resources to the Leprosy Ministry. I’m a part of their story, and you can be too. Even as the Lord has been answering prayers for leprosy-afflicted families in India (as well as in China, Nepal and Kenya), a new work is taking root in Brazil, where the number of new diagnoses are only exceeded by those in India. After seeking the Lord for two years, doors are opening up in Brazil for the Leprosy Ministry. Just last month we were able to fund vocational workshops for patients in Manaus, Amazonas State, to enable patients to overcome their disabilities and make things to sell to promote self-suficiency and help to restore their self-respect. In December I will be heading to Brazil to assess needs and explore more ways to improve the lives of our leprosy-afflicted brothers and sisters.